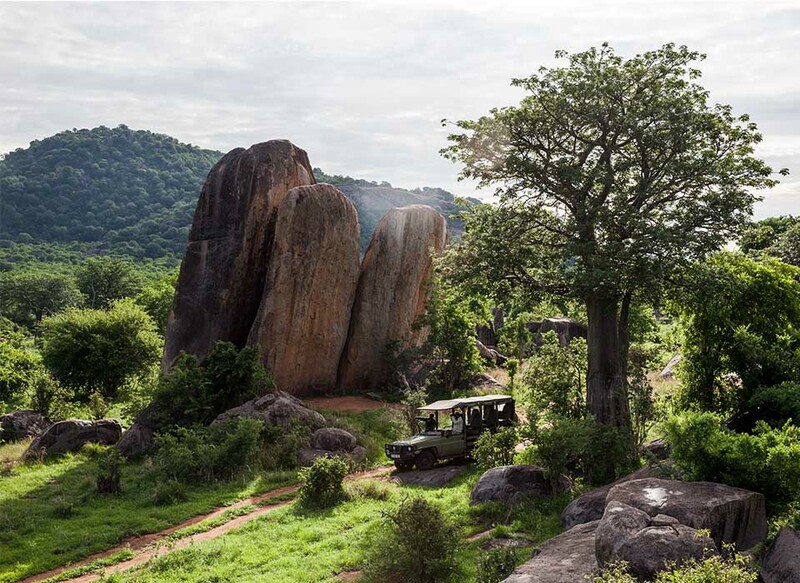 Set high on a rocky kopje overlooking a landscape dotted with spiky palms and bulbous baobabs, Jabali Ridge is a sophisticated base from which to explore Ruaha National Park. 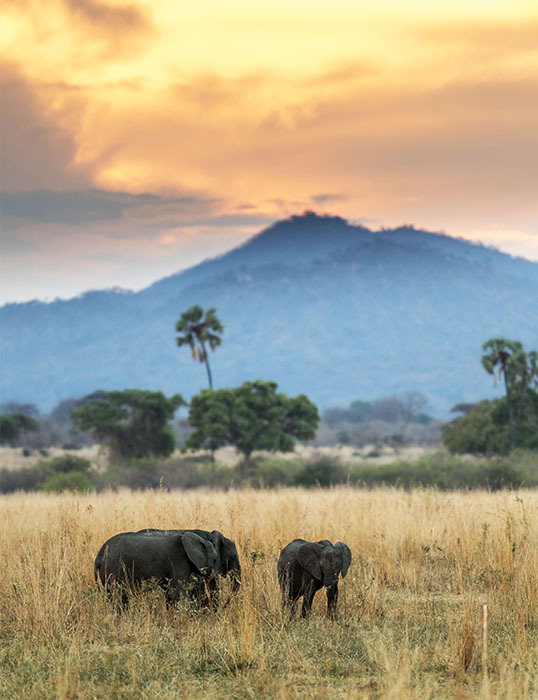 The remarkable beauty of Ruaha is not only in the landscape and its diversity of flora and fauna, or the impressive big game, but in the feeling of having the wilderness all to yourself. 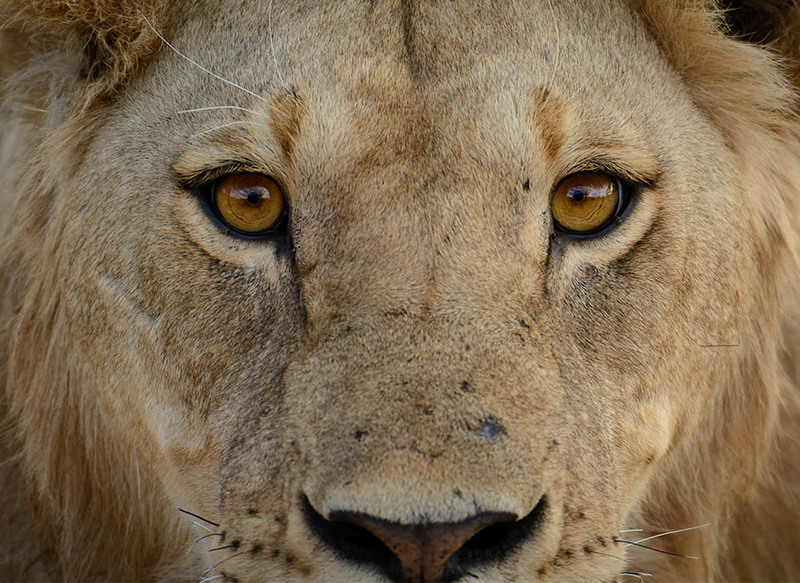 With only a handful of visitors at any one time in an area the size of New Jersey, this is an exceptional safari experience. 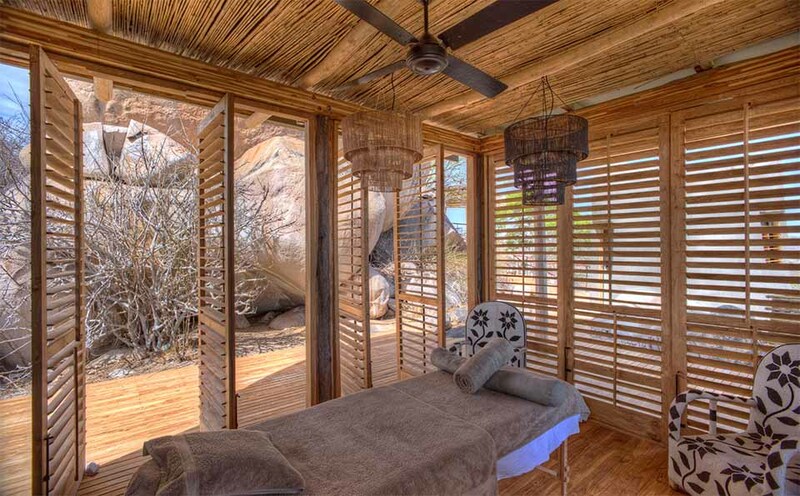 Jabali Ridge’s 8 suites are hidden amongst the rocky boulders that cocoon the property. 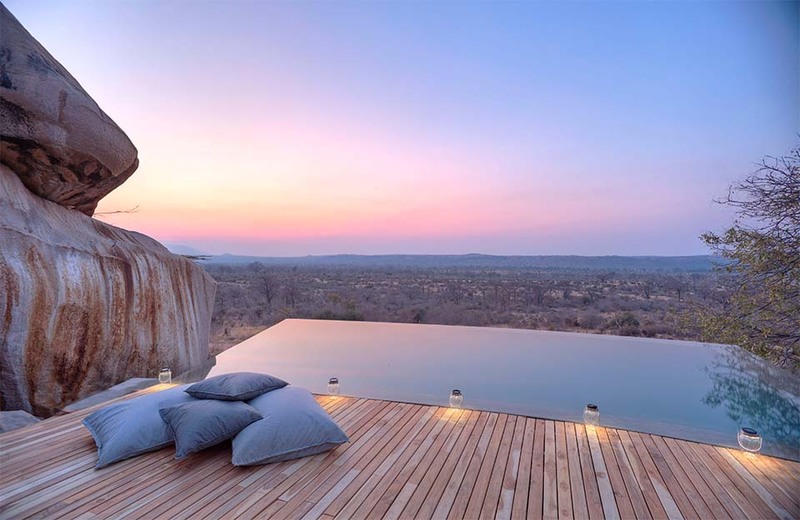 An infinity pool, spa and plenty of places to laze ensure that time off is as memorable as time out in the bush. 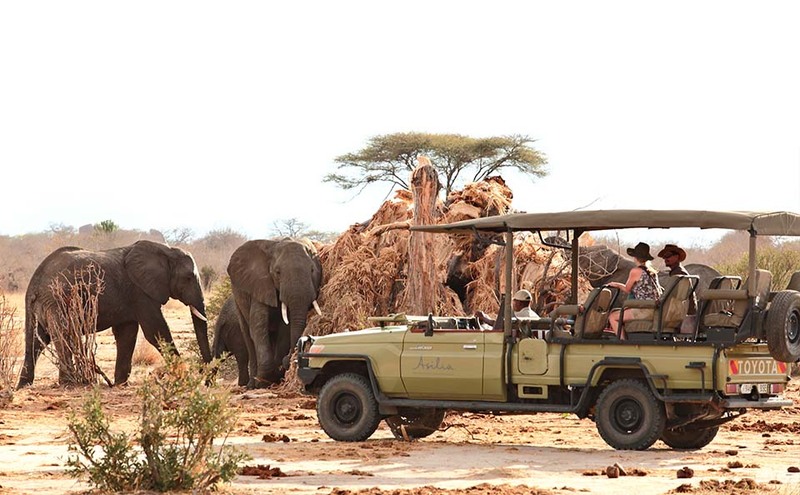 Expert guides lead walking safaris, game drives and night drives. 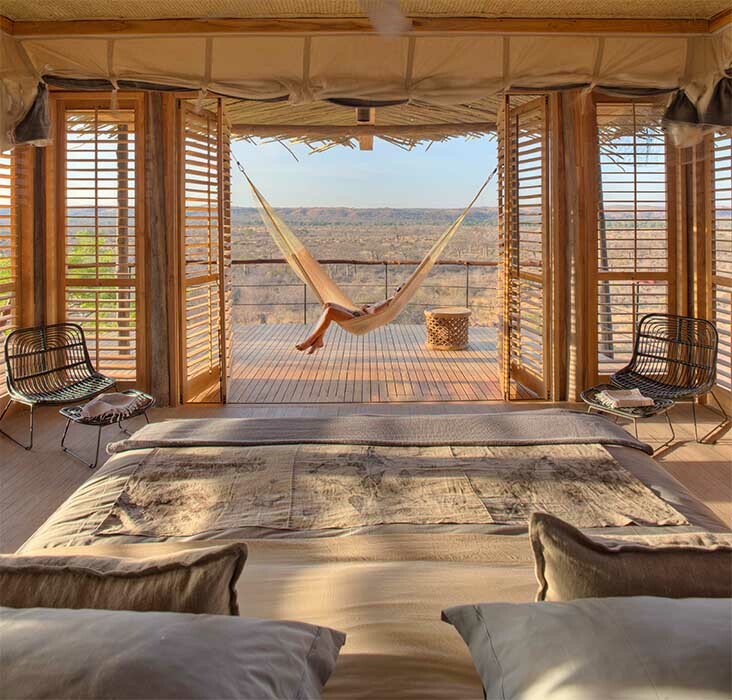 Rates include: Full board accommodation, all house drinks (except champagne), game drives, night drives, guided walks, transfers to/from nearest airstrip and to/from Jabali Ridge, laundry service.
. 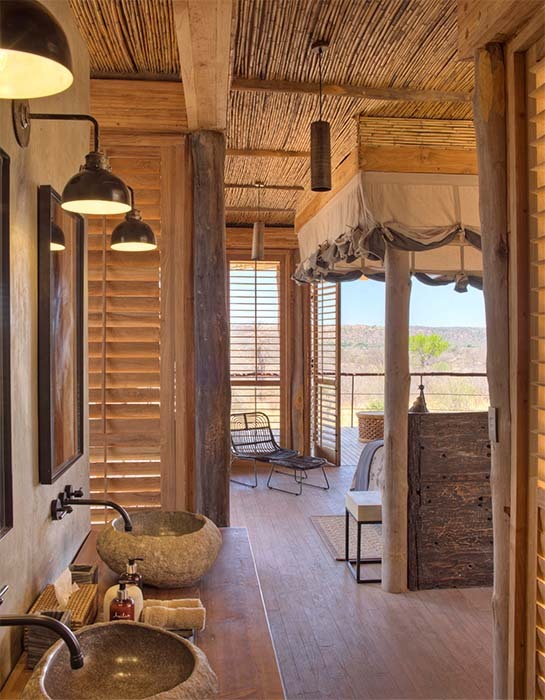 Families with children aged five and over are welcomed at Jabali Ridge, but please note there are no family suites or triple rooms available. 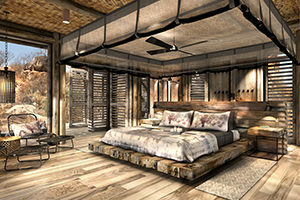 Inspired by the landscape which surrounds it, Jabali blends almost seamlessly with its environment. 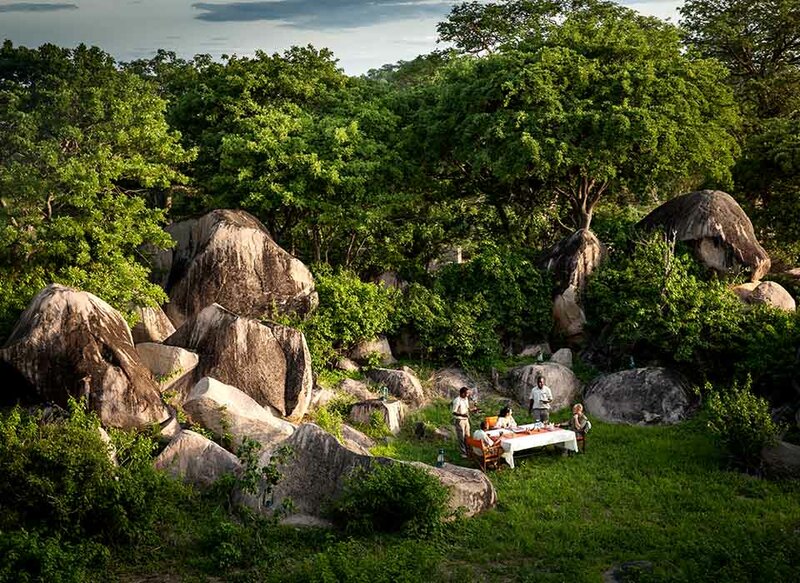 With minimal use of solid walls, the main areas are predominantly open with natural granite boulders providing privacy and shade – even when relaxing in camp you are still one with nature. An infinity pool is the perfect place to cool off on a hot afternoon and the spa will rejuvenate even the most tired limbs. 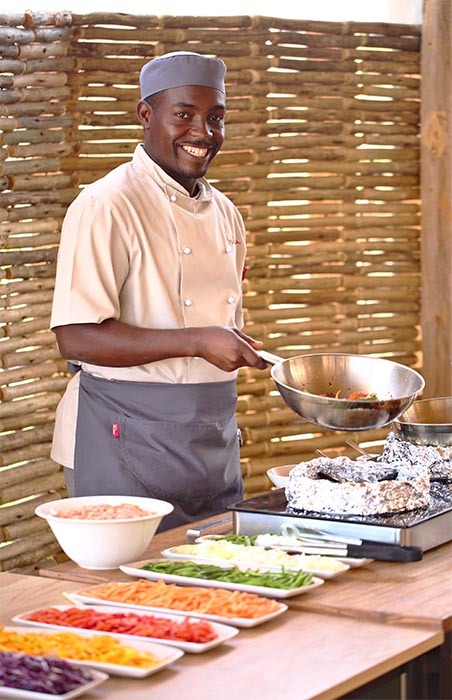 Our chefs pride themselves on ensuring that everything served in Jabali is homemade, from our fresh breads, cakes, biscuits to fresh fruit salads, sorbets and homemade ice creams. 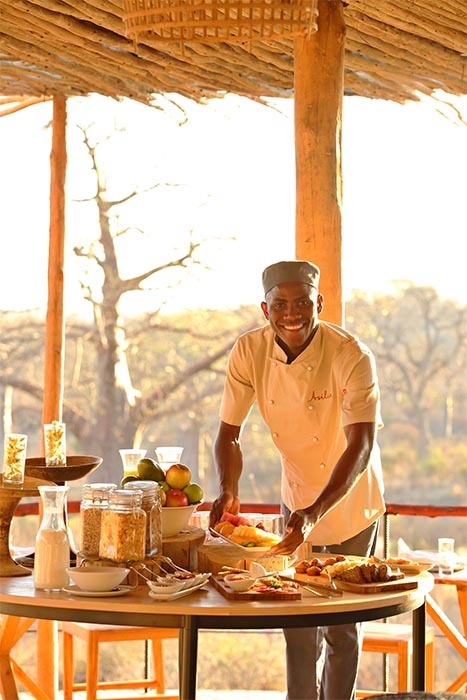 You can choose a ‘bush bonnet’ picnic breakfast to enjoy during your morning game drive, or go for a cooked brunch back in camp. Our light, buffet-style lunches served in the mess tent are popular in the heat of the day, and include plenty of salads with your main course. Delicious gourmet-style dinners are a three-course affair served outdoors under the stars. 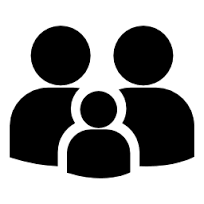 Families with children aged five and older are welcomed at Jabali. Exceptions to the age limit can be made depending on camp occupancy – please chat to us. 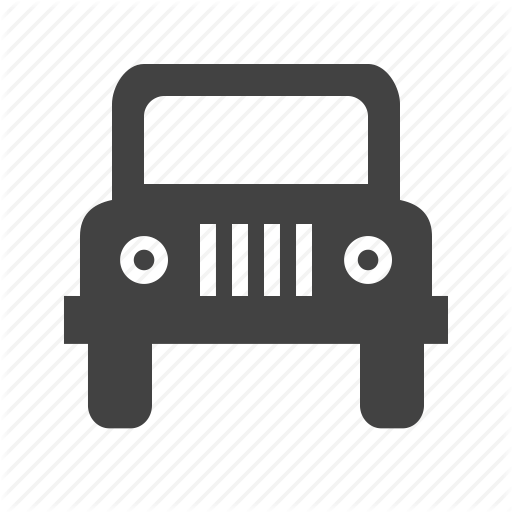 We do not, however, offer specific activities for children or personal guides. Note that children below 12 should always share a tent with an adult. 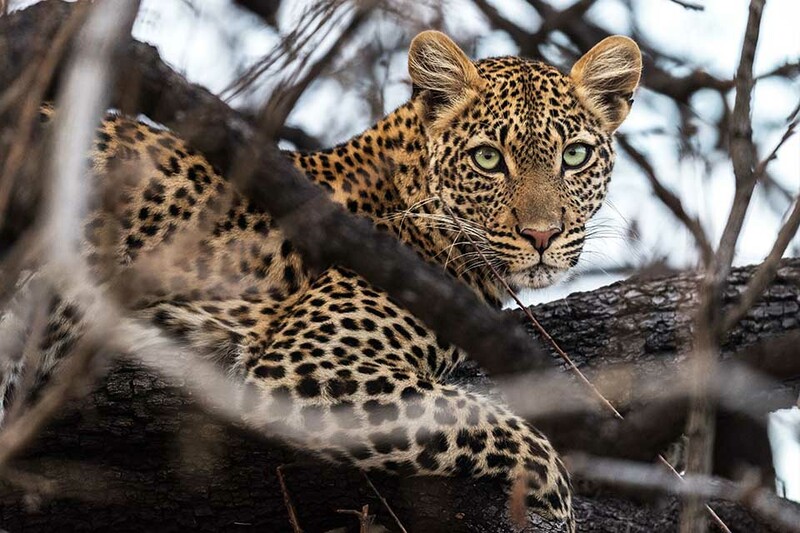 We love catering for the individual needs of families, however, safety is always our top priority and the wilderness environment here is not conducive to providing a specific outdoor activity programme for children. 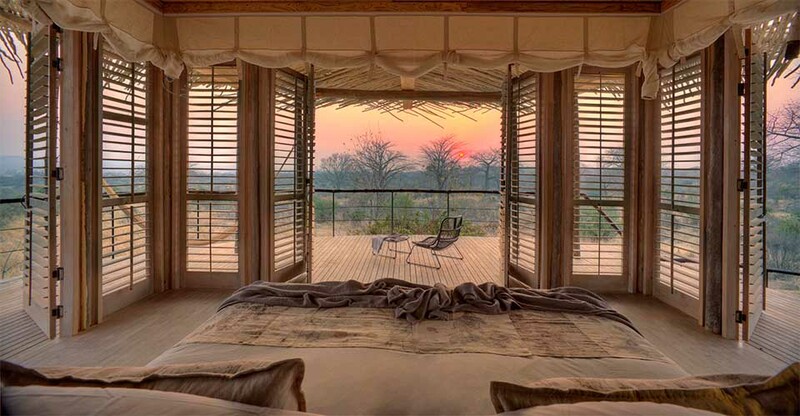 With views over Ruaha from every corner of the room, the guest suites are designed to maximise the stunning landscape beyond. 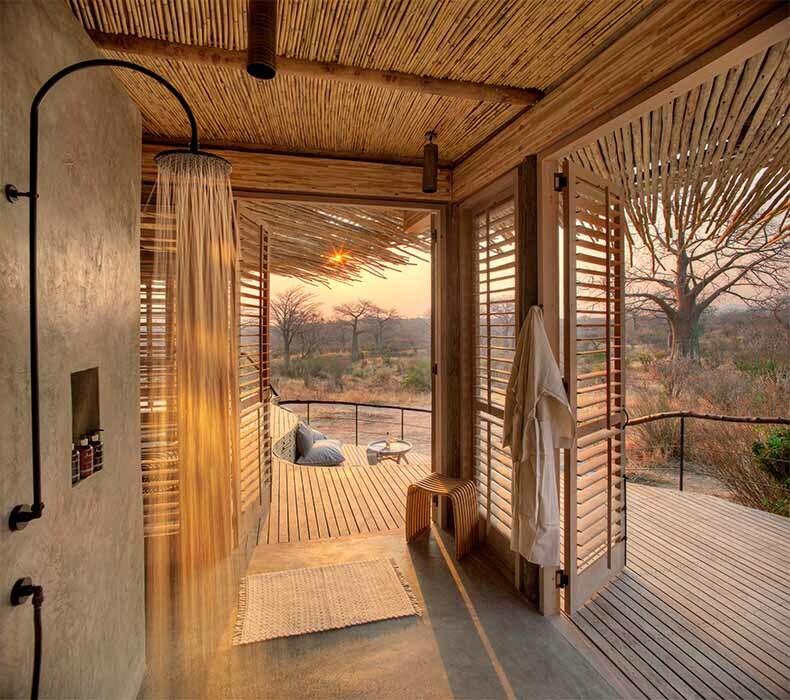 Be it from the bed, the desk or the bathroom, every space is a viewpoint and open to nature. 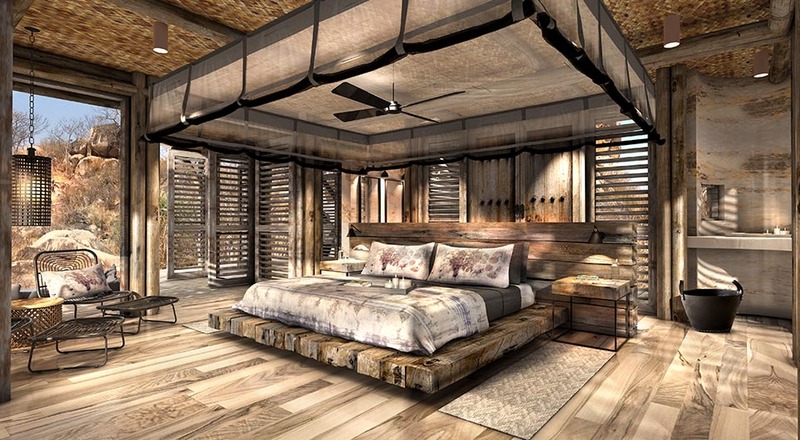 Louvered shutters can be opened completely, blurring the lines between building and nature, or closed for privacy. 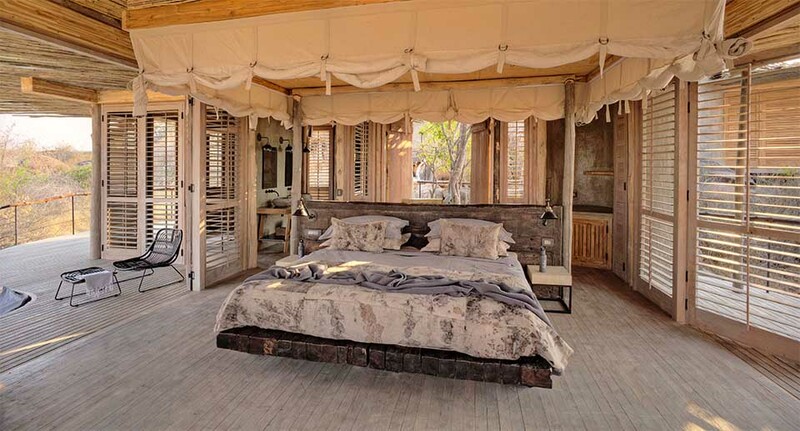 King sized beds are the perfect place for an afternoon siesta, or simply relax outside on your private deck. 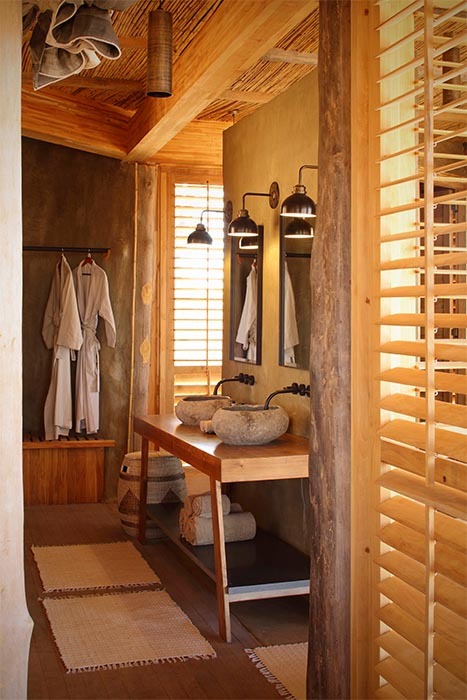 Bathrooms are fully equipped with rain showers and flushing toilets. 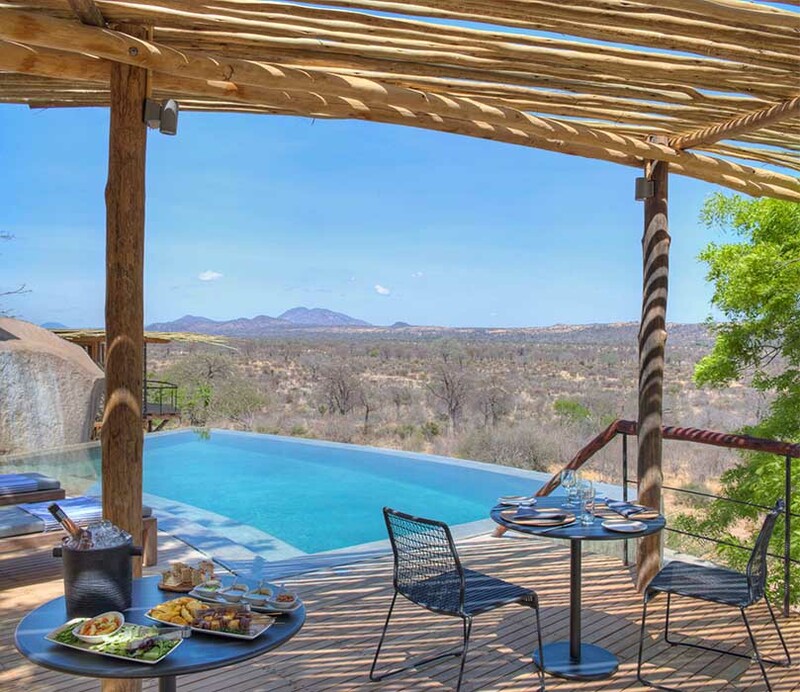 Jabali Ridge is set on and around a prominent kopje stretching from east to west, with views all the way to the Mwagusi river. 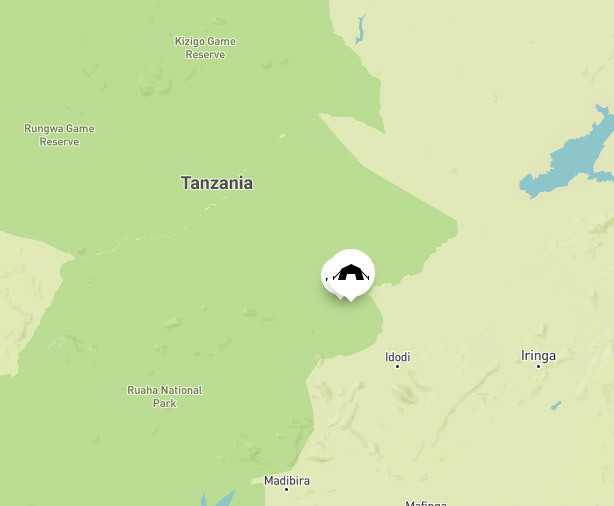 The location ensures that game drives start as soon as the vehicle leaves camp, taking guests straight into one of the prime wildlife areas of Ruaha National Park. 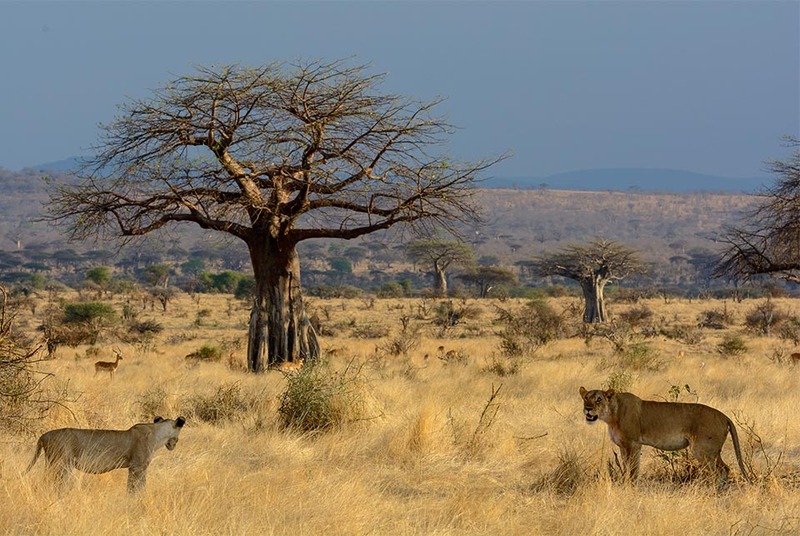 Ruaha National Park is renowned in East Africa for its excellent guides and truly wild landscape. 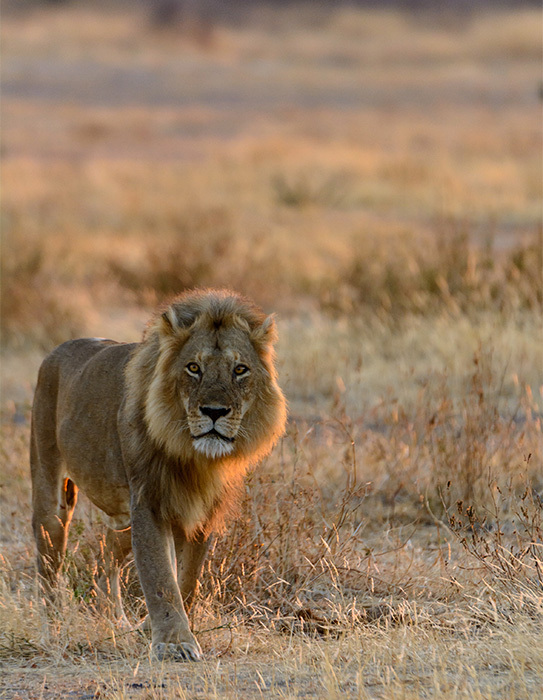 Whether you’re tracking lions by vehicle, discovering the smaller wonders on foot or just relaxing in camp, the expert guides at Jabali Ridge will enhance your wildlife experience with their superb knowledge. 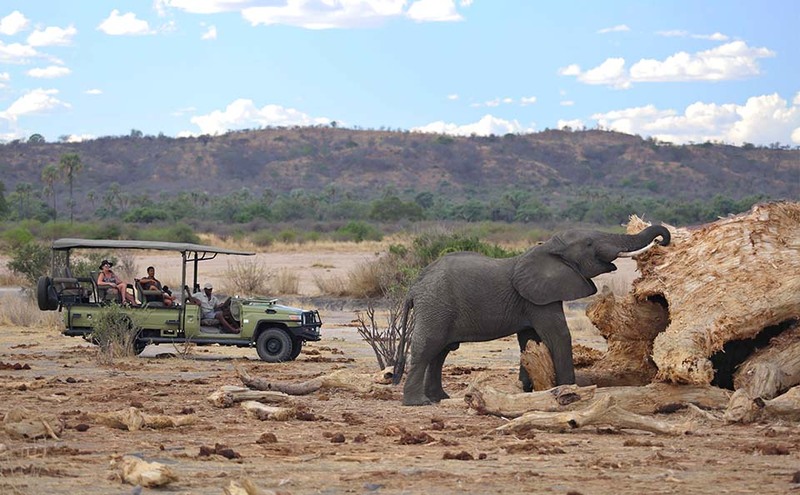 A couple of elephant ease an itch on a fallen baobab tree. 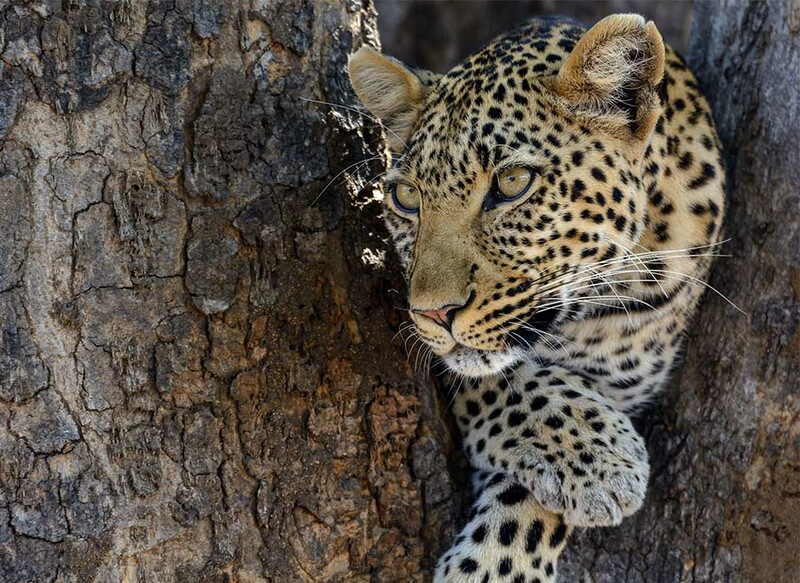 Beautiful sightings that will leave you wanting more. 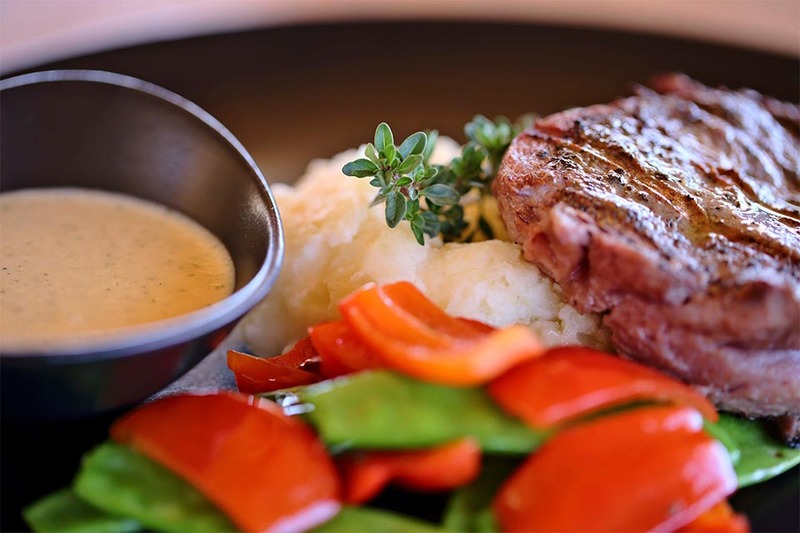 Dinner-time at Jabali Ridge - doesn't this look delicious? 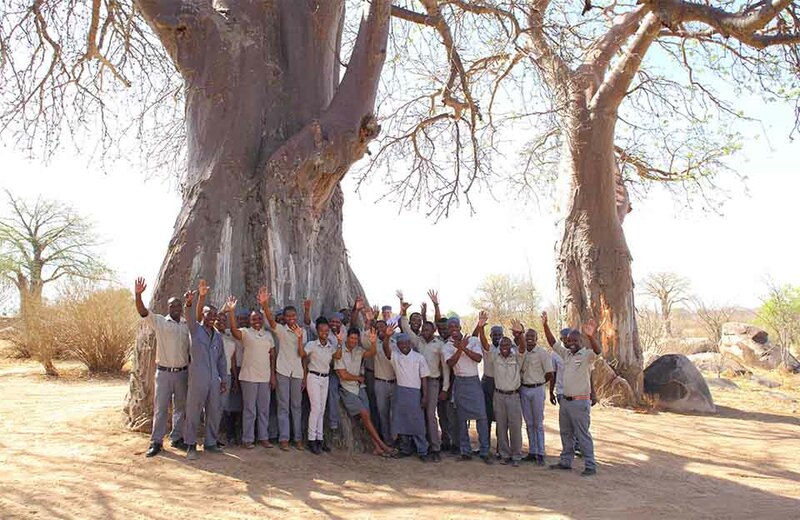 The wonderful team at Jabali Ridge. A warm smile and delicious breakfast always go together so well! So refreshing! 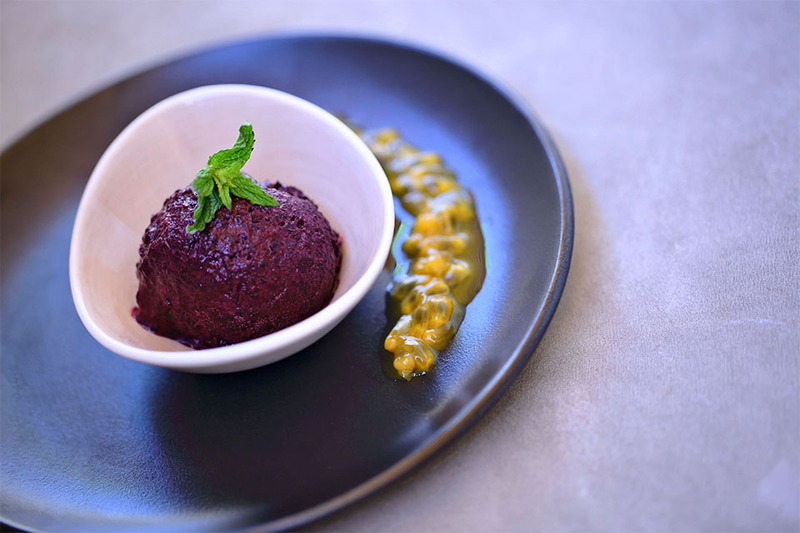 Blackcurrant sorbet to cool you down on a hot African day. 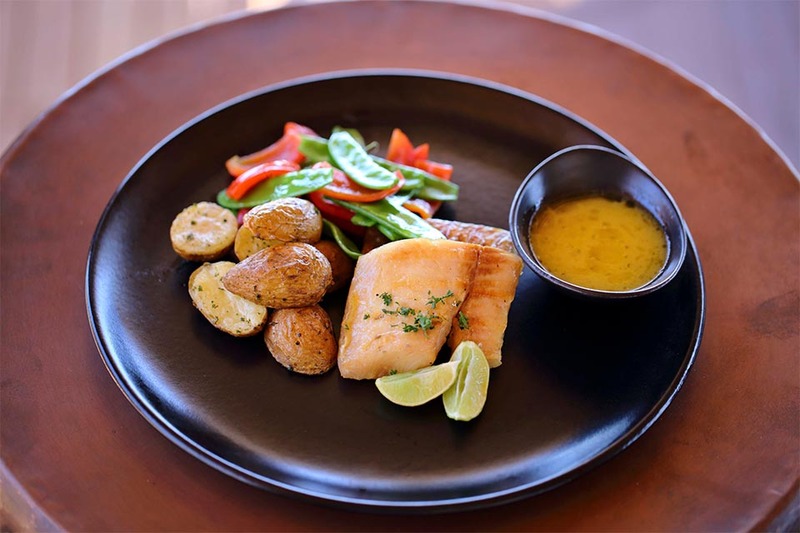 A freshly caught dish of fish served for lunch. 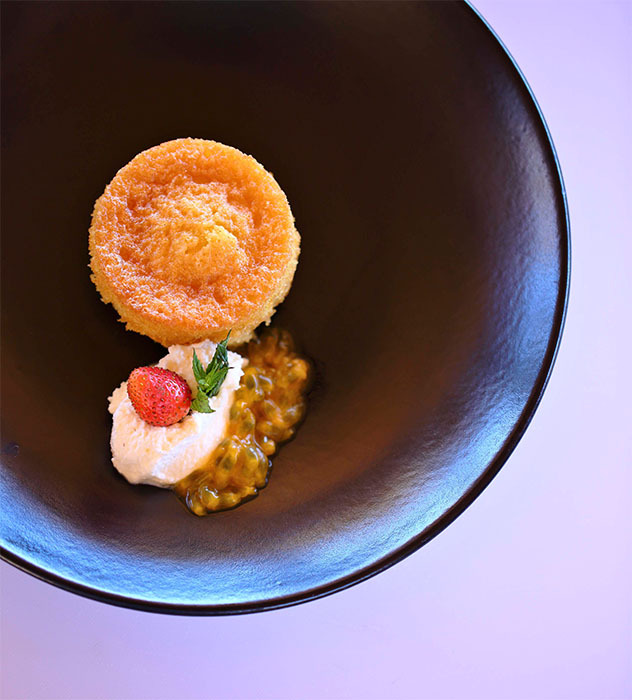 The most delicious sponge cake, made just for you - what a treat! 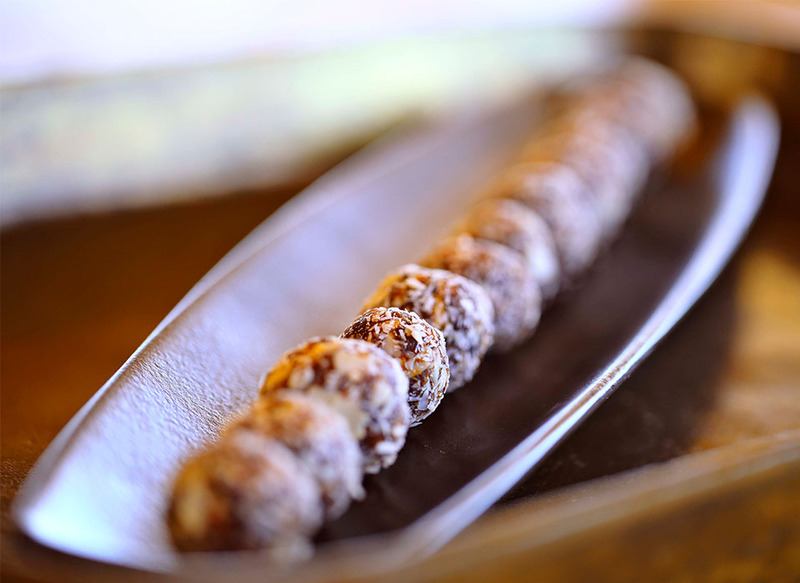 Delicious date bites. The perfect safari snack! 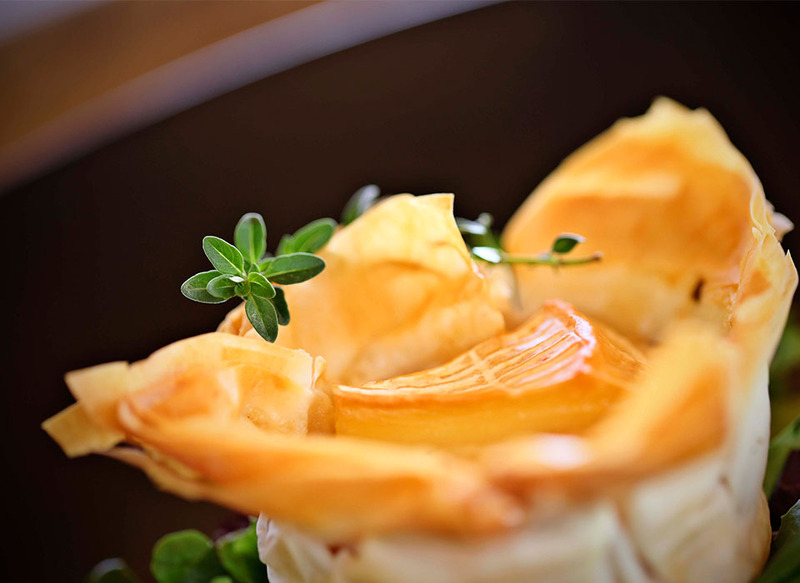 Bite down on a delicious tomato and camembert puff. 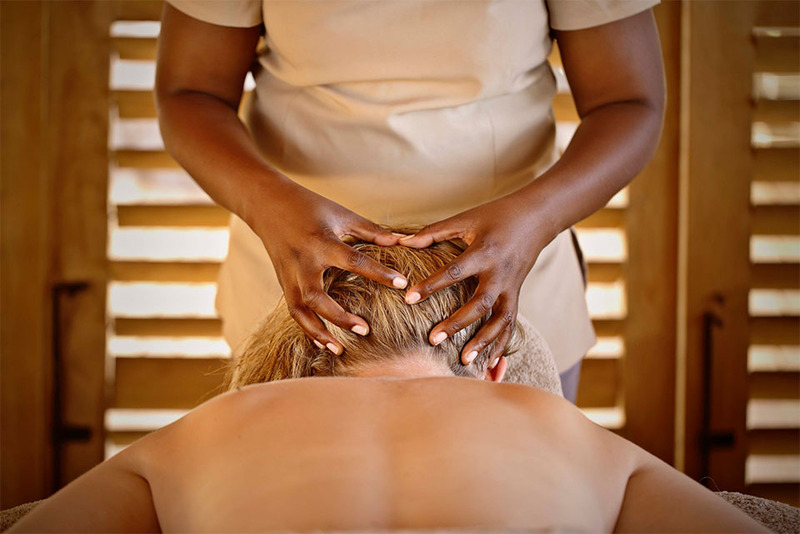 Enjoy a relaxing head massage with the most wonderful oils at our Jabali Spa. 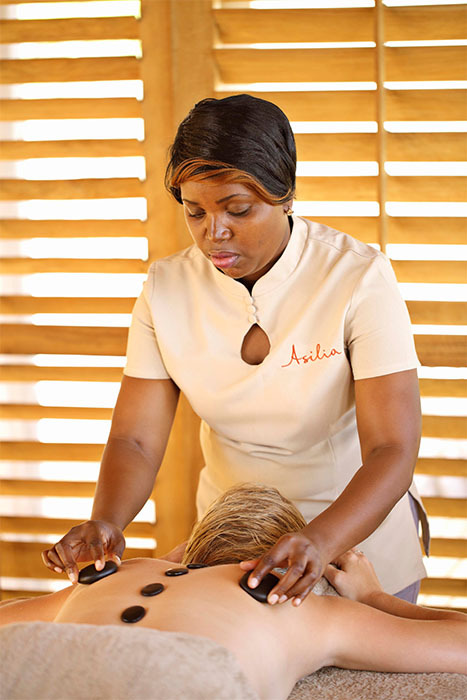 A hot stone massage from our Jabali Spa is the perfect way to end the day. 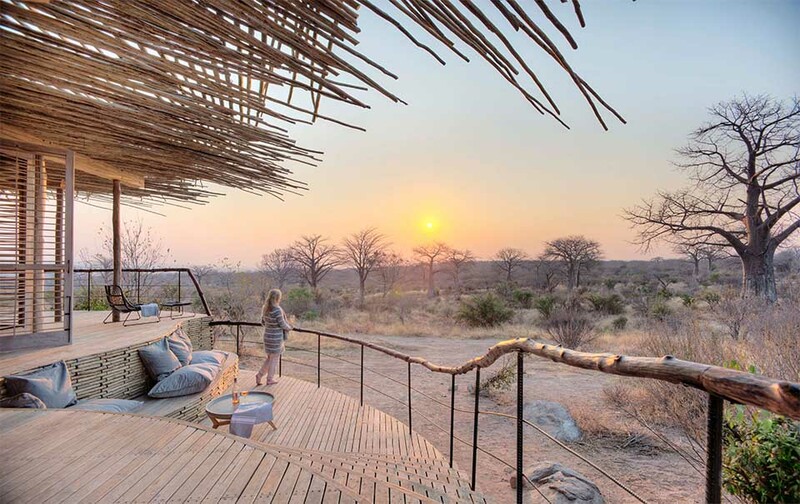 Sundowners out in the Ruaha wilderness - just magical. 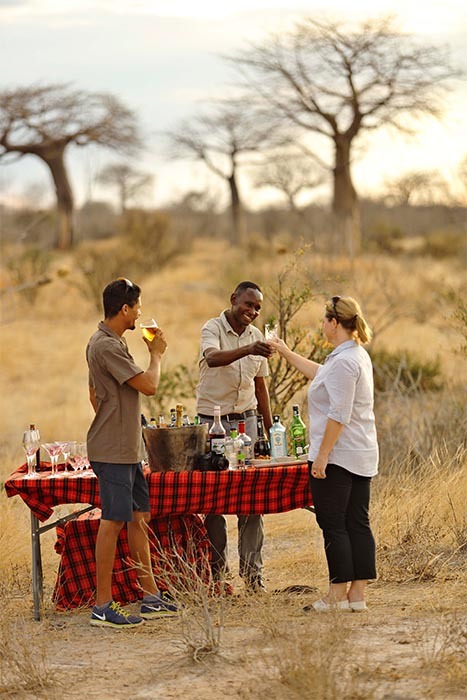 Memories being made while enjoying a drink out in the bush. 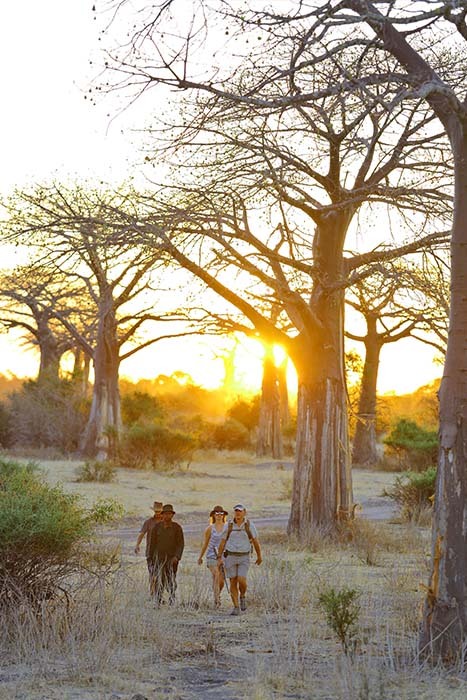 Head out on a walking safari in Ruaha National Park. 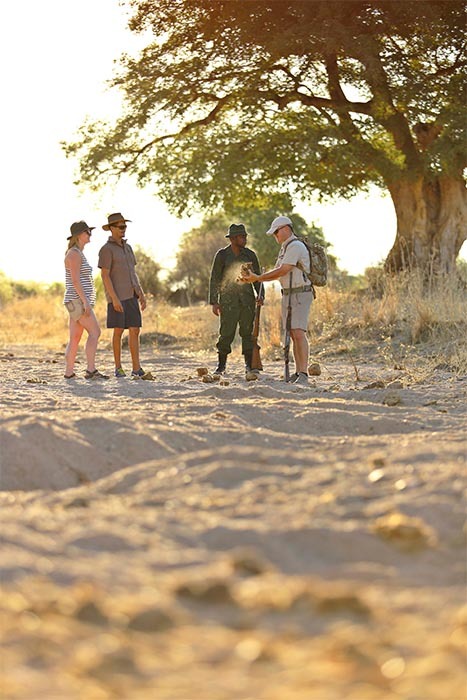 Learning about the land while out on a walking safari in the Ruaha landscape. 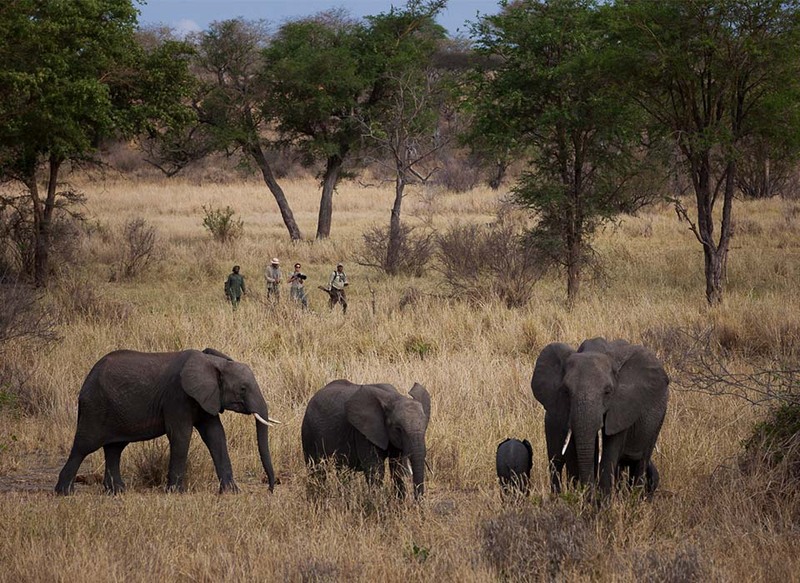 Large elephant bulls often push over baobabs in order to get to the water inside. 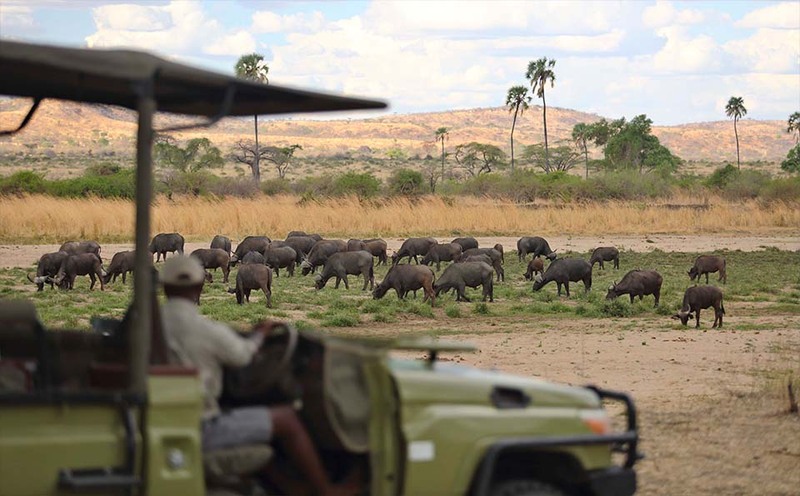 A herd of buffalo spotted while out on a game drive in Ruaha. 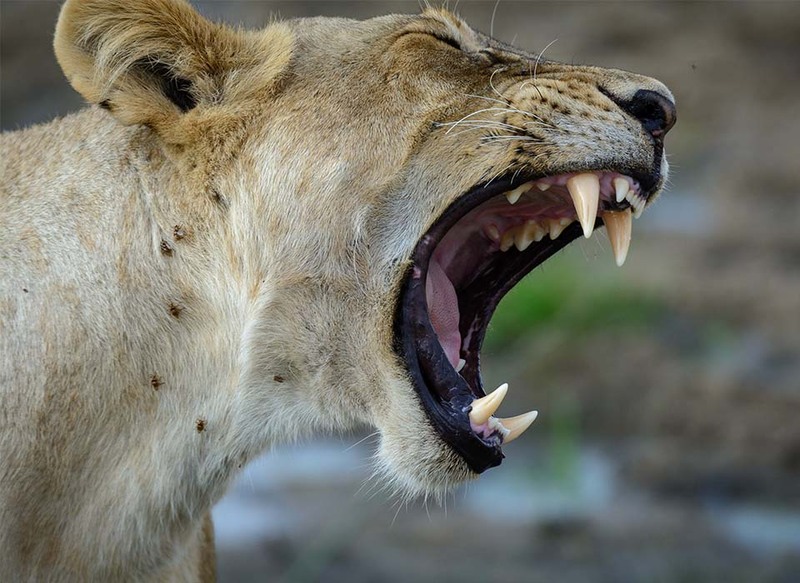 Ruaha National Park - a wondrous place to be! 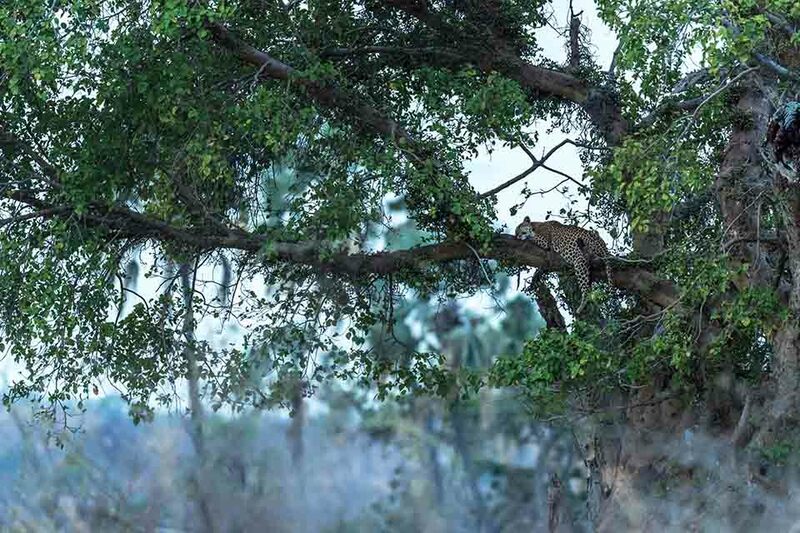 A lone leopard relaxes on a branch in Ruaha. 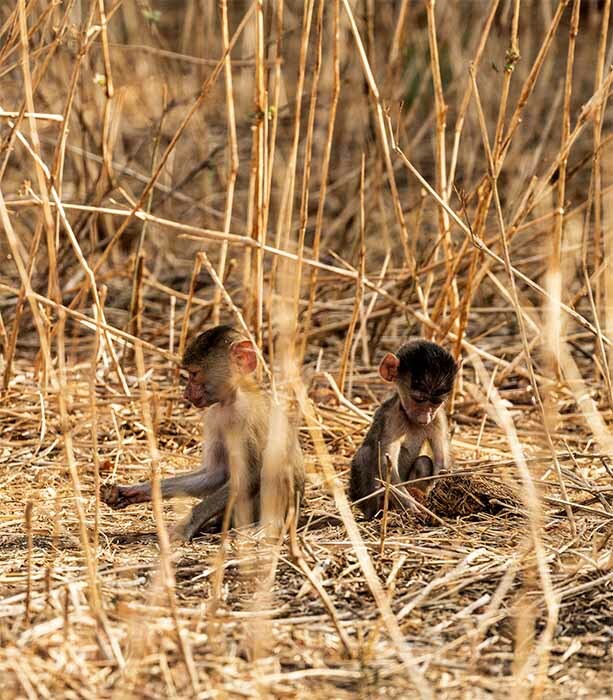 A couple of cute monkeys. 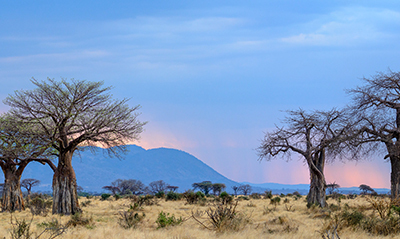 Ruaha National Park's scenery is hard to beat. 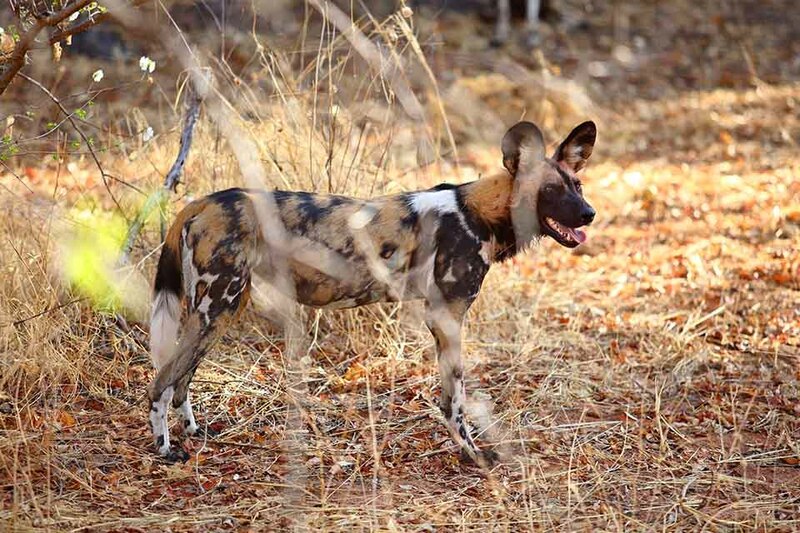 A beautiful wild dog spotted out on a game drive.